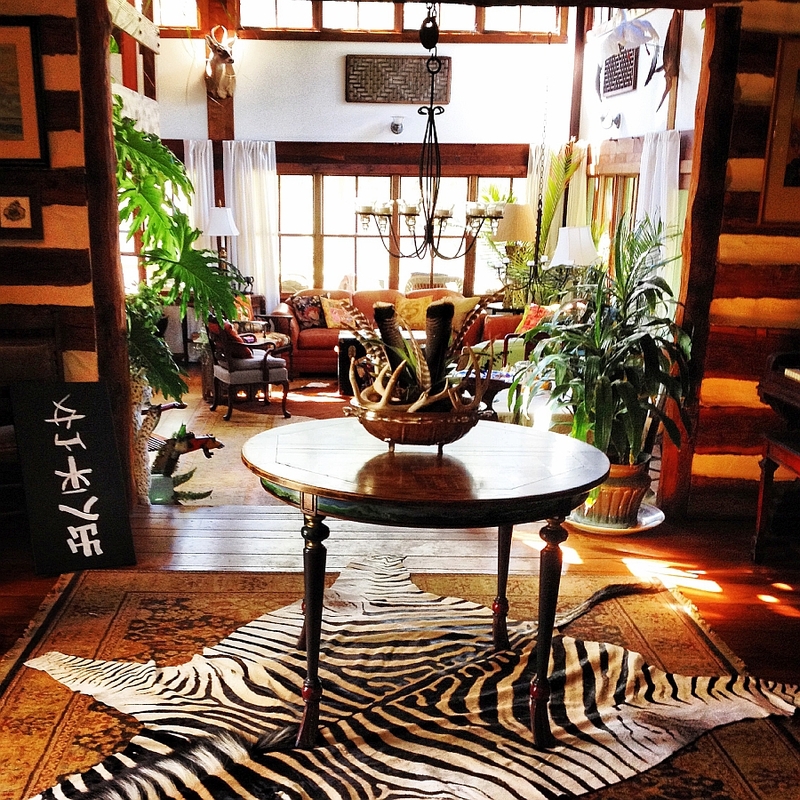 Rugs are an amazing way to give your houses some style and individuality. 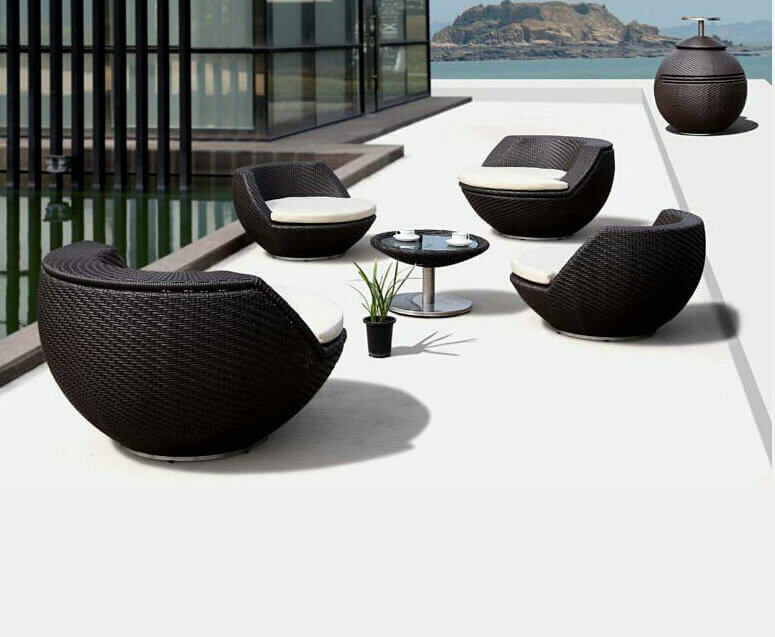 They are generally seen as merely a floor covering, though they can be used in other ways. The way you use rugs in your interior design can give each room a unique feel. As well as being stylish, rugs are also practical: they can prevent accidents, especially on slippery floors, and they also increase comfort. Below are some ideas on how to use rugs for every room of the house. The living room is perhaps the most important room in your whole house. The living room is the place where most time is spent. With this in mind, this is the place where mistakes should be avoided. The rug to be chosen here should not dominate the room, and it should match well with the overall décor of the space. Perhaps don’t take too many risks in this room. The rug in the living room should be smaller. This is to allow a little space between the rug and the rest of the room to give other pieces chance to shine, for example a beautiful floor. Wool rugs are perfect for a living room, because they are easier to clean. How a rug matches the existing color scheme is another aspect to be considered. The colors should not clash. Where the color scheme of the room is vibrant, a rug in a muted tone may be perfect. With monochromatic color scheme, you could match your rug with another piece, e.g. a vase or a table. This will increase the visual appeal of the room, and tie your pieces together. The bedroom is where most people find peace after a long day of work, so this room should be conducive to sleeping. Loud and bold rug patterns should be avoided here. Stick to the rugs made of soft materials. This will aid relaxation in the evening and upon waking. If you are placing your bed on top of a rug, then it should extend at least 18 inches out from underneath the bed, otherwise it will look a little strange and you will not be able to feel the benefits of the rug’s softness under your feet. 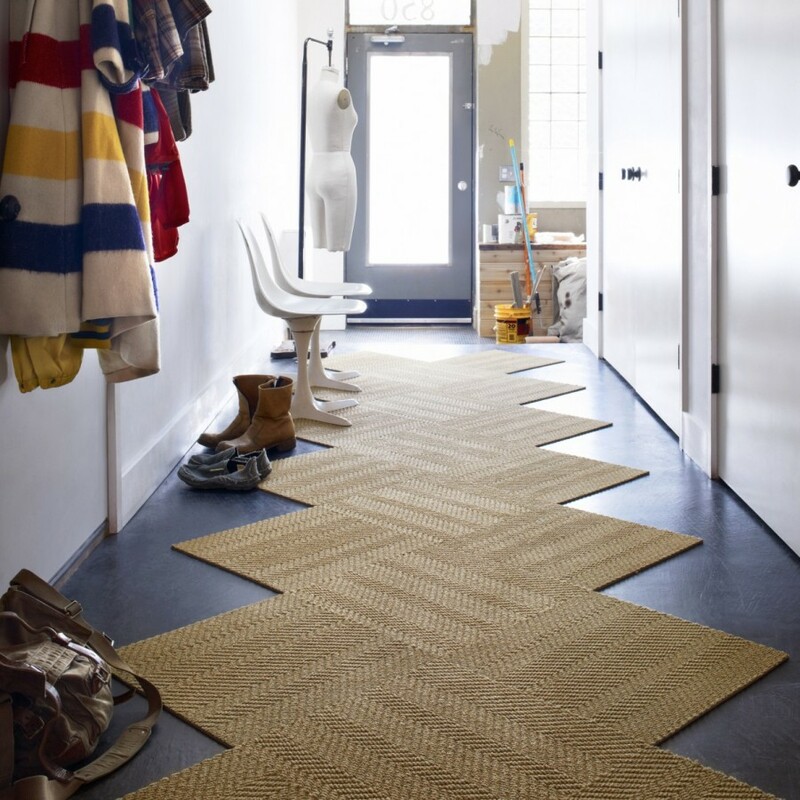 One of the things to consider when choosing entryway rugs is durability. There will be heavy foot traffic in entryways, and so practicality and material choice is key. This is the first thing that people will see as they enter your house, and so it should be welcoming, as first impressions really do count. The rug chosen here should reflect the dining area layout. 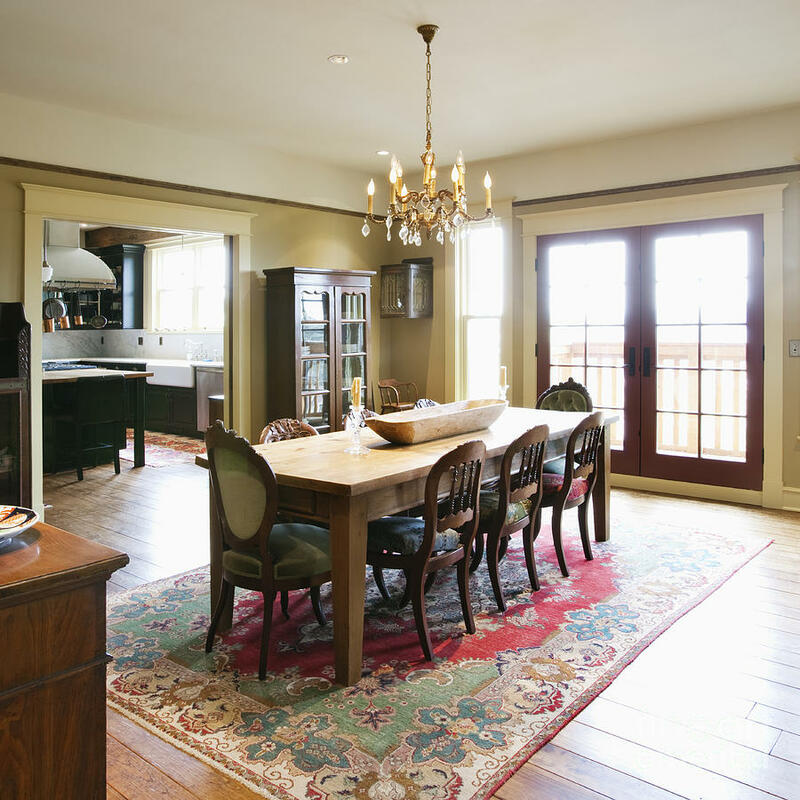 For example, you could use oval, circular or rectangular shaped rugs to match your dining table. With the nature of the dining room, rugs used here should be durable, to soak up the inevitable spillages and food debris. They should also be able to withstand the dragging of chairs. Again, practicality is key, so choice you material wisely. 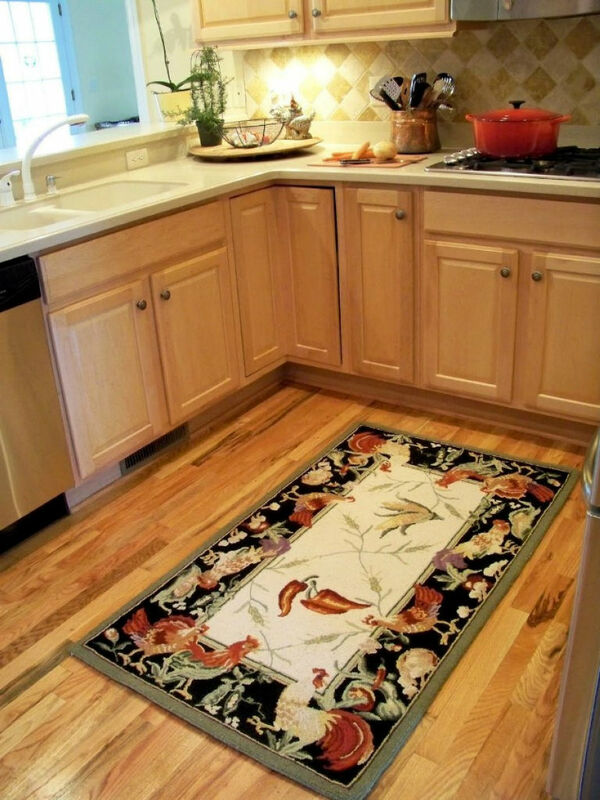 Colorful, braided rugs are a perfect choice for the kitchen. Avoid textile rugs, as they can easily get messy, especially if you want your rug to last. 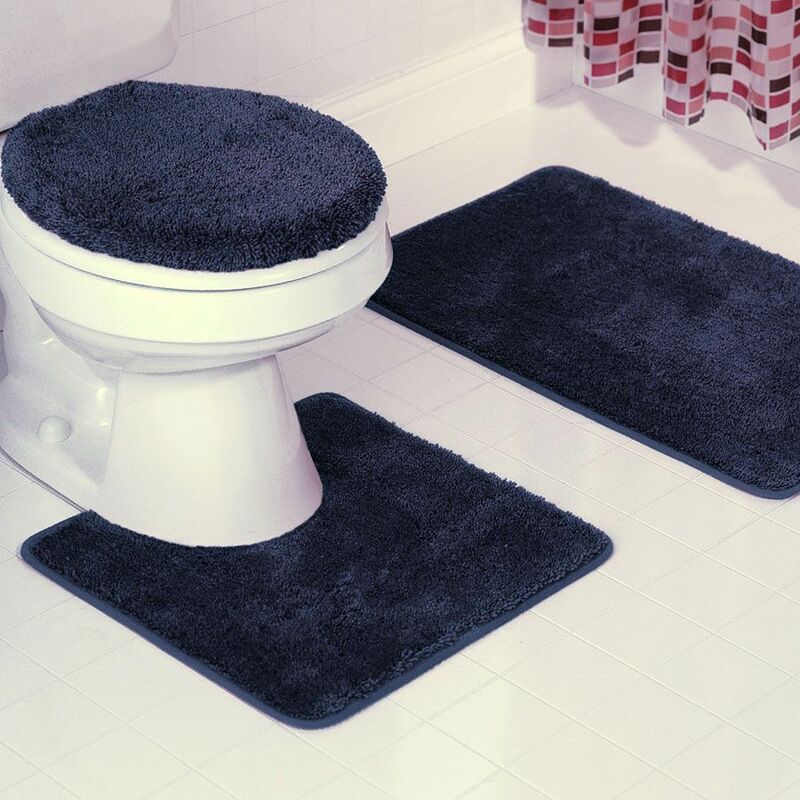 Soft, comfortable and cozy rugs that will absorb water are perfect for the bathroom. They will protect your feet from the cold and sleek surfaces in the bathroom, and will prevent slippages. The size of your bathroom is also a consideration, as perhaps a smaller bathroom would benefit from a more minimalist approach. A rug can add some individual character to each of your rooms, and it can be an integral part of your décor. 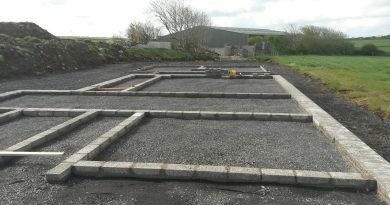 Key considerations include material, color, shape and size, and your choices will depend upon things like the rooms purpose, your existing decoration and the size of the room.